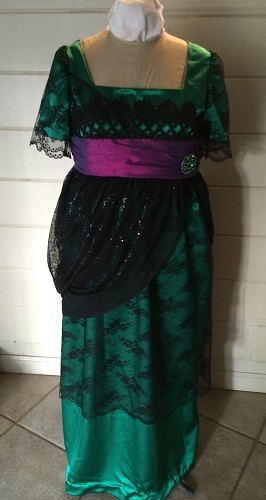 1910s Reproduction Green and Black Evening Dress was made to be worn for PEERS vampire ball. 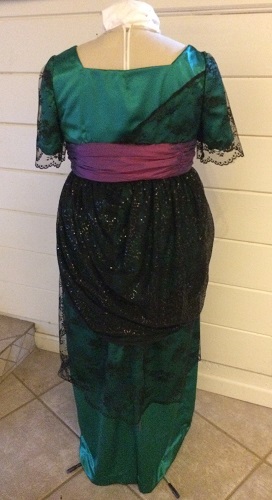 Green polyester satin dress with lace overlay on skirt and sleeves and bodice. Venetian lace on bodice. 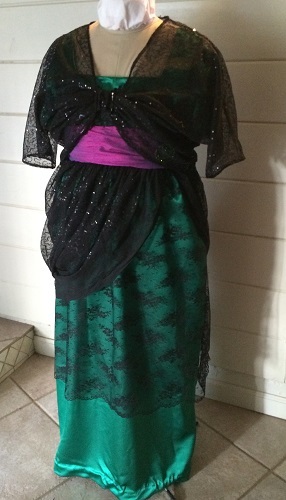 Sequined net jacket and overlay on purple silk dupioni belt. Left hidden invisible side zipper covered by belt and overlay. 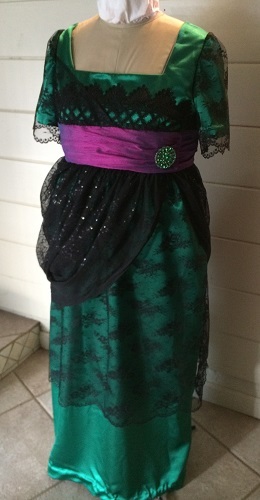 Belt sewn to dress and closes with hooks and eyes. Decorative pin on belt.